Yes I made the Mexican mole poblano as I’d planned (and I had a terrible burning sensation on my hands for at least 12 hours from it! 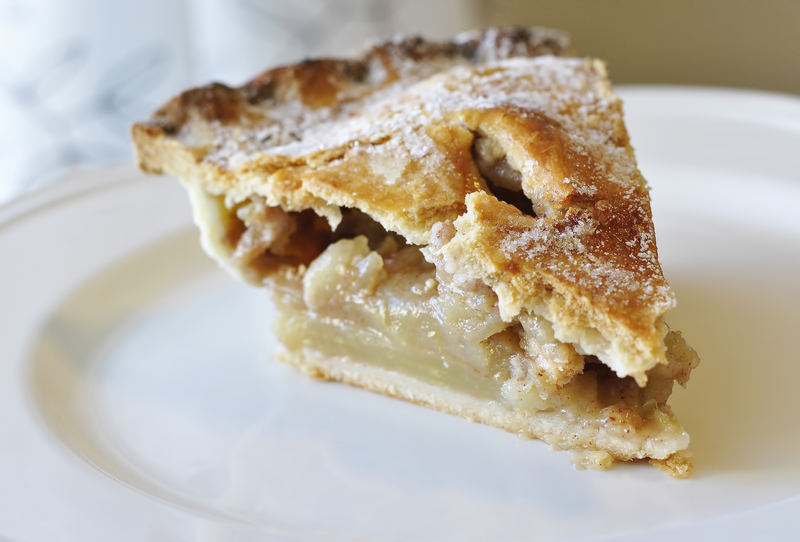 ), but I also made apple pie. After doing some research online I found out that a variety of apple called the Mutsu is also regarded as one of the top apples for baking. We usually gravitate straight towards the ol’ reliable Granny, but I’d never heard of this one. Turns out- it’s just another name for the Crispin. Mutsu/Crispin is a cross between a Japanese-grown variety and a Golden Delicious. Not bad. 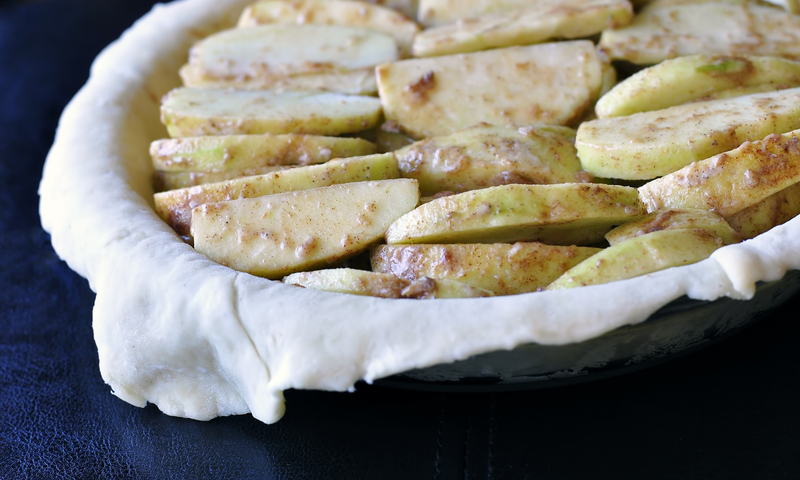 It’s tart enough as to not be too sweet, but I don’t add much sugar to the filling when making pies anyways. And- I assume the slices would have held their shape and texture decently had I not baked the sucker long enough to get a dark dark golden crust, ensuring the apples collapsed inside from over baking! Still looks good and tastes great. 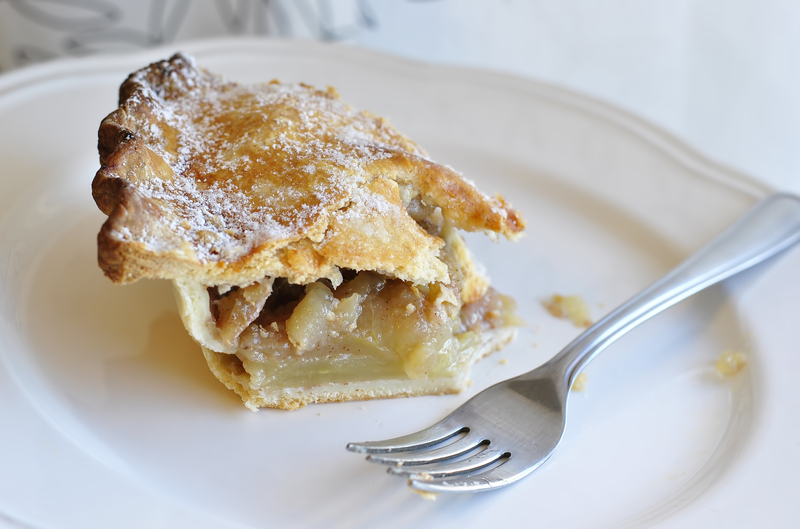 For this recipe I used a basic pie dough, and then just tossed the apples with sugar, flour and spices for the filling. Easy. And cheap. And… great for breakfast as I just found out. 1/2 cup (or more) cold water, iced is best. -Stir the salt, nutmeg, and sugar into the flour. -Cut the butter or shortening into small cubes and mix into the flour by hand, rubbing it in, until the pieces of butter are small enough to resemble peas. -Add the cold water and mix with your hands until the dough just holds together. You don’t want to overmix it (and ruin the future flakiness of the crust.) Keep adding small amounts of cold water until you are able to form the dough into one piece, then wrap and chill in the freezer for 30 mins. -Peel and cut the apples into wedges, about 10 or 12 wedges per apple. -Toss all ingredients together by hand until the wedges are lightly coated in all. 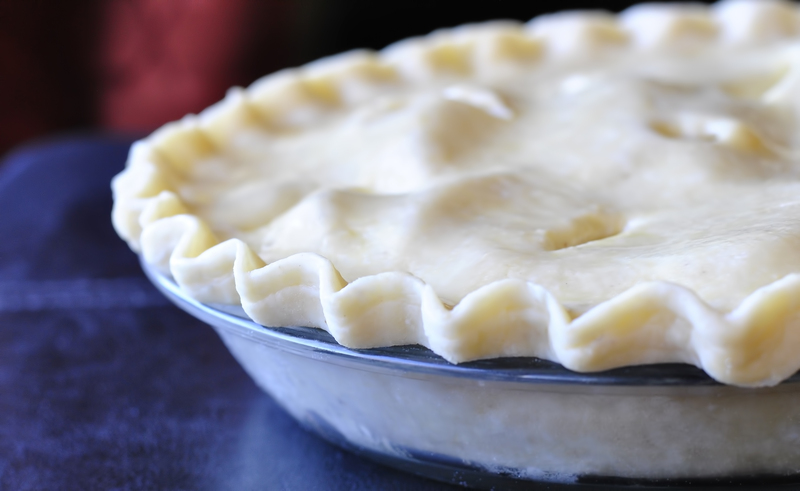 -Remove the pie dough from the freezer, divide into 2 equal portions, and roll out into 9-10 inch rounds, big enough to line the bottom and top of your pie pan. -Place the first round in the bottom of a pie dish (mine is glass, straight edged) and be sure the dough drapes slightly over the edges of the dish. No need to grease or flour the dish, the dough will not stick to the pan once it’s baked. -Arrange the apples in the dish in even rows, packing them lightly so there aren’t large gaps between them. -Egg wash the edge of the pie dough where the bottom crust will be connecting to the top, to seal it. 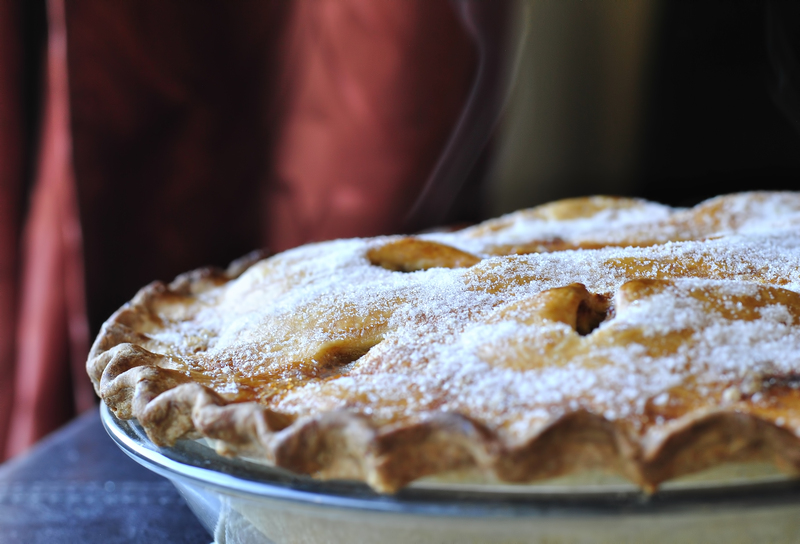 -Egg wash the top of the pie, pierce with a sharp knife to create steam-escape holes, and bake until golden brown and until fruit juices are bubbling thickly, out of the holes. Next articleFoodThis Week's Breakfast. Blueberry Peach Pie. Ha. My fluted edge has never, & probably will never, look like that! Like the true pros in most industries . . . you make it look easy (& wonderfully delicious) ! Love your Mom who can only bake muffins! lol! Muffins are good too! I swear the Mexican mole was even more difficult to get right! And my hands and face are still burning from the chillies! PS- …it’s still never as good as Sandra’s. Beautiful! I wish I could make a crust like that!!! Practice is all it takes!